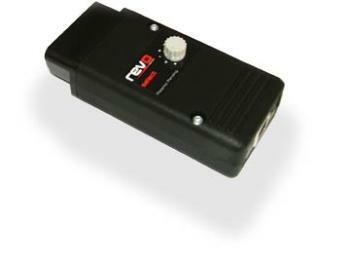 Revo Technik Serial Port Switches - Dezod Motorsports Inc - Home of the automotive performance enthusiast since 2002. Revo Technik Performance Software programs are switchable via the OBD2 port on your car using our select device. Simply select a program, plug in, wait a few seconds, remove the select device and start the car. It’s simple and there’s no fixed switch to alert to any modification. The ‘select’ allows the user the ability to switch between stock and two octane specific performance programs and includes the added benefit of the Anti theft feature which is designed to disable the ECU itself. The ‘select plus’ features variable boost, timing and fuel adjustment allowing the user to set the car up to run efficiently with any fuel quality and in varying conditions. The ‘select plus’ consists of a diagnostic port interface, USB cable and new PC based software. Boost, timing and fuel adjustments can be uploaded directly to the ECU using the software communication mode. The ‘select plus’ not only features the 2 default performance modes like the ‘select’ version, but also includes an additional 3 “user based” modes. These modes allow the user to custom configure their performance settings and upload them to the ‘select plus’. Changes to ECU settings can then be made using just the ‘select plus’. These saved settings can be changed and re-saved using the software as your mechanical upgrades or environmental conditions permit. Combined with the ability to revert to stock programming, and our unique anti-theft mode, the ‘select plus’ is unmatched in its ability to provide the highest levels of control and flexibility. The ‘select plus’ gives the user the ability to alter boost, timing and fuel settings within Revo software, to make the most of differing fuel quality and environmental conditions. Select Plus for Porsche has the added benefit of a Data Acquisition function built into the Revo Select Plus software allowing the user to monitor certain engine sensors to efficiently set the adjustable boost, fueling and timing settings. It also gives the user the ability to store up to three preset configurations in the switch or alter settings via the OBDII port. The anti-theft modes on the select switches allow you to totally disable your vehicle’s ECU. It will leave the car totally inoperable even if the thief has the keys. Unlike other security devices there are no mechanical installation requirements such as wiring looms. Once Revo performance software has been installed, you can purchase an optional select device and follow the simple and clear instructions supplied.